How Many Candidates Should You Interview? You’ve created the perfect job description and been inundated with CVs from hundreds of potential recruits. But how many of them should you interview? Too many and you’ll be wasting your and their time, too few and you might miss out on the perfect candidate. Here, we’ll explore the interview options to help find your ideal new starters. Are the number of candidate interviews flexible? Yes! There are many factors that should dictate how many people you’re willing to spend time interviewing. 2) What is the skillset of the position? If you need an sales admin assistant now, and you have ten applications, all clearly capable of doing the job, bring in just a couple who seem like they’ll be a cultural fit and select the best. However, if you’re looking for a senior marketing professional, you’ll likely have lots of applicants and want to bring in five or six to ensure you make the right choice. Such a position needs a wide set of skills and a personality to match the role, and you’ll likely want to whittle down the best two or three and bring them in for a second interview. Interviewing too many candidates is time-consuming and illogical. It’s not just the hours spent physically quizzing each jobseeker, you must contact each one and arrange the interview time, prepare for each interview, and then give each person follow-up feedback. Plus, with several people on the interview panel, each might end up with their own favourite from a long list. You want a clear winner that everyone can agree on. What’s the typical recruitment process? Many companies will leave their human resources team to do everything, but some will invite recruitment firms, like Aaron Wallis, to do the initial graft of sifting and providing the ideal candidate (or several) for interview. The success or otherwise of your final choice of new starter is defined by how well you undertake the preceding steps. The suitability of your applicants will depend on how well you defined the job description. If you’re after a software engineer, you’d want to stipulate the experience and qualifications you require, otherwise you could be inundated with unsuitable applicants who don’t know their computer code from their highway code. Your interview process will only be as good as the shortlist of candidates you’ve agreed to meet. And your final selection and job offer will only succeed in the long term if your interviews were thorough. What are the six types of job interview? 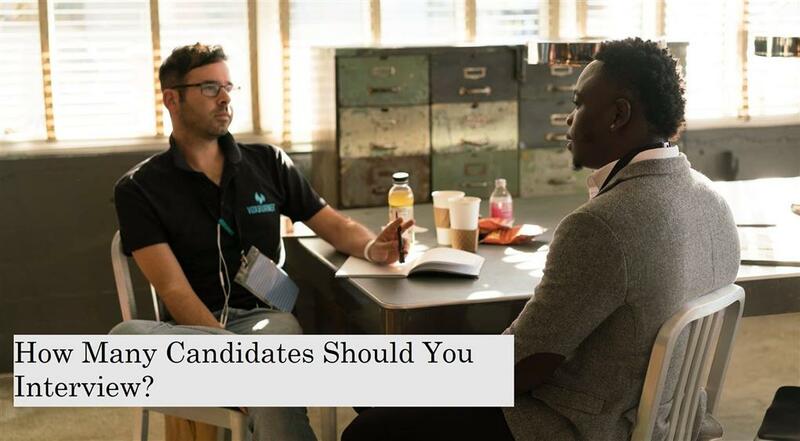 1) Traditional one-on-one interview – where someone from HR or the hiring manager speaks alone with the candidate, generally at the company offices. This is how most people think of a job interview. 2) Phone interview – this will most likely be a pre-screening interview to get an initial feel for candidates before inviting a shortlist in for face-to-face talks. You’ll get a good first impression. For example, if you’re filling a sales position and the candidate sounds quiet and nervy on the phone, then move on quickly! 3) Panel interview – where the candidate is grilled by a panel, likely made up of people from different areas like HR, managers and employees in a similar position. They will ask questions depending on their own role and experience and will hopefully come to a consensus about their preferred candidate. 4) Behavioural interview – here the interviewer will pose questions based on common situations that crop up in the open role. The aim is to see how a candidate’s behaviour and decision-making when faced with similar situations in a previous role will benefit the business. 5) Group interview – ideal if you want to get a group of candidates in to see who wants to work at your company, maybe by including a short presentation and a tour of the premises. This could be followed by brief one-to-ones. This is a good way to observe the candidates together, spotting those with leadership potential, those happy to follow the crowd or maybe those who are simply unsocial! 6) Lunch interview – a good way to get to know someone better with a second interview. Outside of the workplace, in a more relaxed atmosphere, you’ll get a feel of whether your jobseeker will be a great cultural fit within your business. Should we use headhunters or database recruitment? Database recruiting will follow the tried-and-tested format of keeping a list of potential candidates, their skills, salary or role expectations and experience, and matching them to any given open role. You can add to your database by advertising your open position, or from unsolicited applications. It’s seen as a traditional and effective recruitment system. However, for specific roles, occasionally its best to become proactive and go out and search for the right candidate yourself. That’s headhunting. You might do this for the most senior roles in the business, or if a very strict, technical or hard-to-find skillset is required. If you are after either database recruitment or a headhunting service, please get in touch with Aaron Wallis Sales Recruitment either by phone (01908 061400) or by submitting a vacancy here.